Our planet is home to many beautiful and fascinating things. Two of those beautiful things are the auroras that can be witnessed in both the northern and southern hemispheres. Called Aurora Borealis in the northern and Aurora Australis in the southern hemisphere, the auroras are bright, colorful swaths of light that can be seen in the night sky. 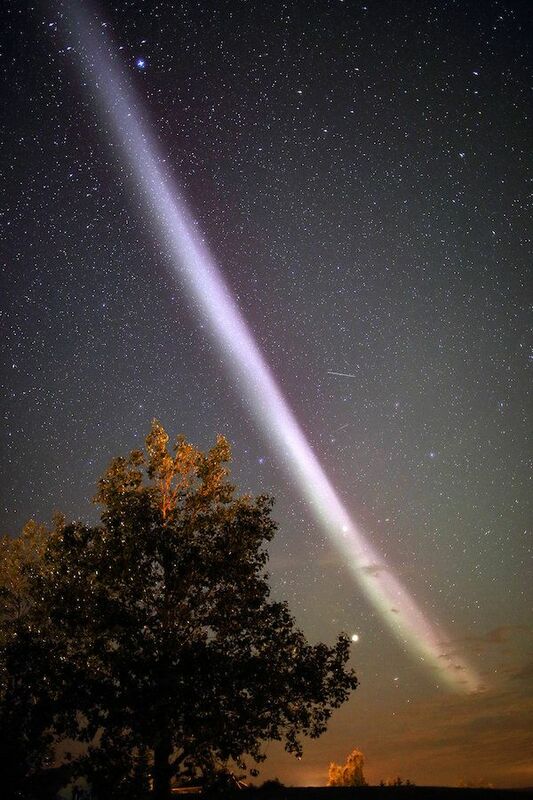 There are other, stranger, aurora-like atmospheric events that can happen too, such as Steve (Yes. It's really called Steve. They even came up with a backronym to match the name: Strong Thermal Emission Velocity Enhancement. Science is weird.). A new video released by YouTuber Timestorm Films gives a time-lapse view of the Aurora Australis at the Amundsen-Scott South Pole Station research facility in Antarctica. The dancing aurora on a backdrop of the stars and the Milky Way is simply breathtaking. Many people, especially in the US and Canada, are familiar with the Aurora Borealis, but may not have heard of the Aurora Australis. It turns out that the Aurora Borealis and Aurora Australis aren't mirror images of each other like was once thought. Differences in the earth's magnetic fields, which change over time, as well as solar winds and various other factors affect the auroras. Here's some more beautiful images of the aurora to wrap things up. The view from space is even more amazing! There are few things on this earth as hauntingly beautiful as the Auroras.